The Gr. 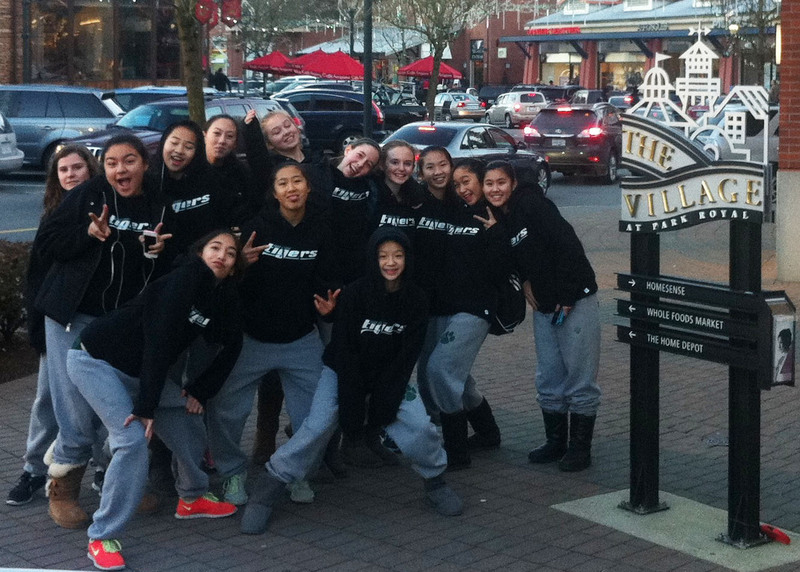 8 Basketball team takes a break from the Capilano U Tournament in North Vancouver. This past week was a busy one. Basketball season got back into full swing and the Tigers are off to a good start. The Seniors started with a split – handily beating Burnaby Mountain, but coming up a little short against AAA MEI. Congrats to Emma, who received a Telus Classic Scholarship this weekend at the Telus Classic Tournament. The Juniors are 1-0 on the season, taking their first points from CHS this past week, and the Grade 8s charged forward to a 4-1 start. The 8s placed 3rd in the top gold division at the Capilano U tournament, beating Handsworth and Earl Marriott. The only loss they had was to the tournament champions, a club team from tri-cities.